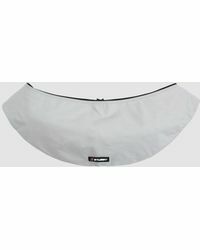 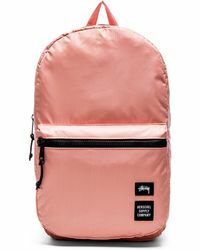 Founded by surfboard shaper Shawn Stussy in 1980, Stussy is a laid-back ready-to-wear label that started when this entrepreneurial craftsman decided to transfer his signature logo onto T-shirts to sell alongside his surfboards. 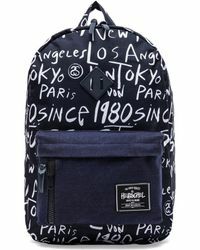 Growing over the years into an international streetwear brand, this label sticks to its roots by gaining inspiration from skateboarders, musicians and surfers that visit its home city of Los Angeles. 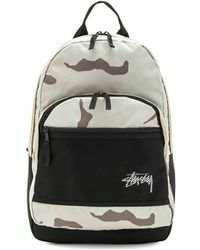 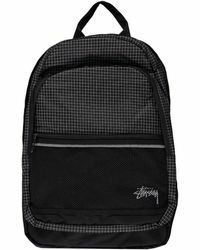 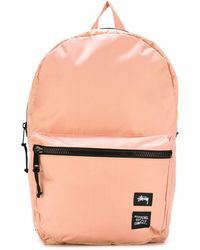 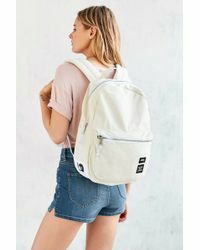 Featuring fun graphics, beachy colors and tough edges, Stussy backpacks are cool, contemporary and endlessly useful.